Today I will show how you can get more control on your Counterstrike Global Offensive game client. What are CSGO launch commands? 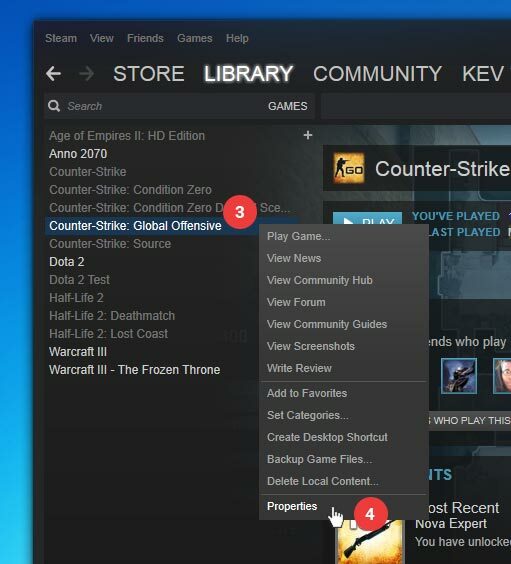 The CSGO launch commands for Steam allow to edit the start options of the CSGO game client. This means there are options that can’t be changed ingame/while the game is running and must be setup before. Like this you can dramatically save performance and ensure a better stability. Furthermore it is necessary for a lot of tools that we all don’t want to miss – like the important CSGO console. A full list of commands, if you have any issues make a comment below. -console This will show the CSGO console right from start. Tip: You also need to bind the console on a key in the ingame menu options, to be able to close and open it again. It is also helpful to see the echos from the autoexec right from start. -tickrate 128 The default value of the tickrate is 64. 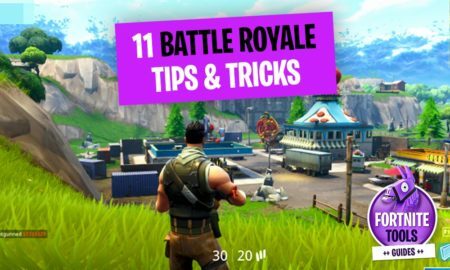 When starting bot or any offline game, this command allow you the optimal tickrate of 128. -fullscreen Run the game in fullscreen, whatever happens. -startwindowed You don’t need fullsize? Use -windowed for that, for a better usage define also -w and -h (width and height) to have the right dimensions. -noborder If you play in windowed mode also add -noborder to have no border in Windows. -height XY Specify a resolution for your window size, for example: 1920×1000 pixel. -vertical XY If you use window mode and noborder, it is possible to position the window to the center or any position you like with -x and -y. -high This forces the CSGO game client to run in high priority mode. This can be helpful for computers who struggle to ensure a good game performance in CSGO, it forces the computer to use more power for the game. -language english If you want to use CSGO in english but your Steam account in another language, type -language english to force it! -lv -lv stands for Low Violence version – more a fun mode: There is no blood and instead of dying, people lie on the ground with their hands on the face. -freq XY Check if your monitor has a maximum refreshrate that is higher than 60. If yes this commands forces the monitor to run a that specific refresh rate. This can be awesome test it! If NOT, don’t do it or you can damage your monitor heavily. Replace “XY” with your desired refresh rate. -threads XY Improve your performance by adding a higher thread number – The number should match the number of your cpu cores. +exec autoexec Sometimes CSGO loads the configs in a wrong oder, to fix this add “host_writeconfig” at the end of your autoexec and set the accessibility to more than read only. The command overwrites any cvars in the config.cfg with the ones in the autoexec.cfg when executed. Don’t add+exec autoexec.cfg to your CSGO game launch options, because it is loaded before. This can be a solution to make your autoexec work correctly. +clientport 27005 Useful for LAN games. The default CSGO port is 27005, so when playing LAN there could be port conflictions when playing in the same network. To play with each other, use different ports. -nojoy Removes joystick support (can improve FPS). -nod3d9ex1 Makes alt+tab faster (can improve FPS). +cl_forcepreload 1 Preload Maps (can improve FPS). -heapsize XY Define the heapsize and replace XY with a number of kilobytes you want to use. This command is outdated and NOT recommended. -noforcemspd No effects since a few patches ago. Possible alternative: m_rawinput 1 and m_customaccel 0 try it out to maximize your mouse precision. How to add CSGO launch commands to your client? • Enter commands like listed below into the textfield, to add more than one command seperate them with a space. 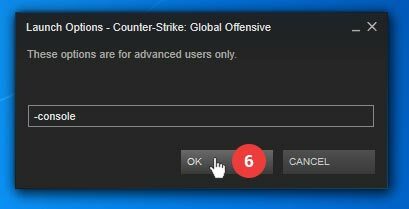 Afterwards click on “OK” and restart/start CSGO. Which CSGO launch commands do I use? Find a lot of CS GO Guides here.